We don't just carry the standard Cummins engine parts or only Ottawa yard truck parts. 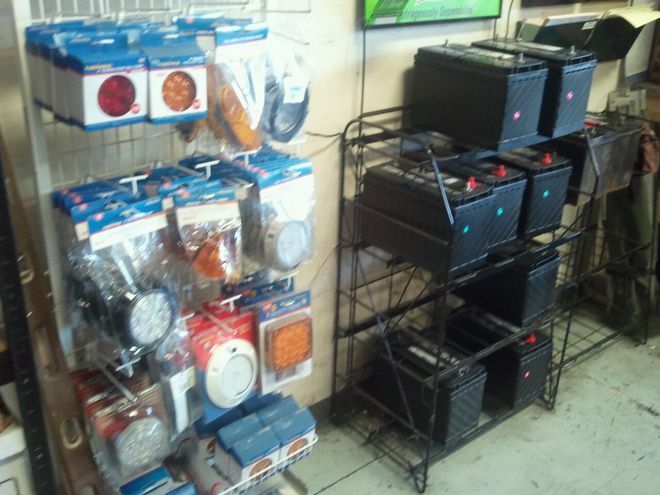 We have a full line of accessories and even carry batteries for your yard truck. You do not have to try and match up missing reflectors, dead batteries, or even the headlights. Schedule an appointment with our mobile repair service to change your oil or some other routine maintenance item and we will inspect your yard truck for missing accessories. We can be sure your switcher truck is up to snuff on reflectors and other safety items.